Seagulls, which usually fly above the Market Square near the Presidential Palace in Helsinki, have suddenly disappeared, days ahead of the planned talks between US President Donald Trump and his Russian counterpart Vladimir Putin, the Finnish newspaper Ilta-Sanomat reported. The media pointed out that the disappearance of the birds is a great relief for visitors, as they often try to steal food from bystanders. The newspaper asked the city's ecological service about whether the disappearance of the seagulls had been ensured by technical means ahead of the important talks between the two leaders, but it was told that this was not the case. The ecologists noted that the seagulls might have left due to several birds of prey moving into the area, threatening the usual feathered residents. 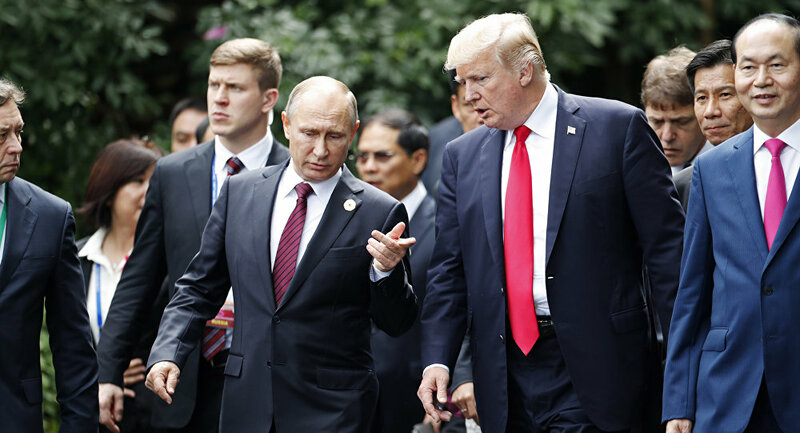 Russian President Vladimir Putin and US President Donald Trump are expected to discuss relations between the two countries, as well as other international issues in Helsinki on July 16. This will be their first tete-a-tete meeting to take place beyond international summits.